The Stromberg Foreway golf trouser is slim fit stylish golf trouser that has been designed to be comfortable to wear on and off the golf course. 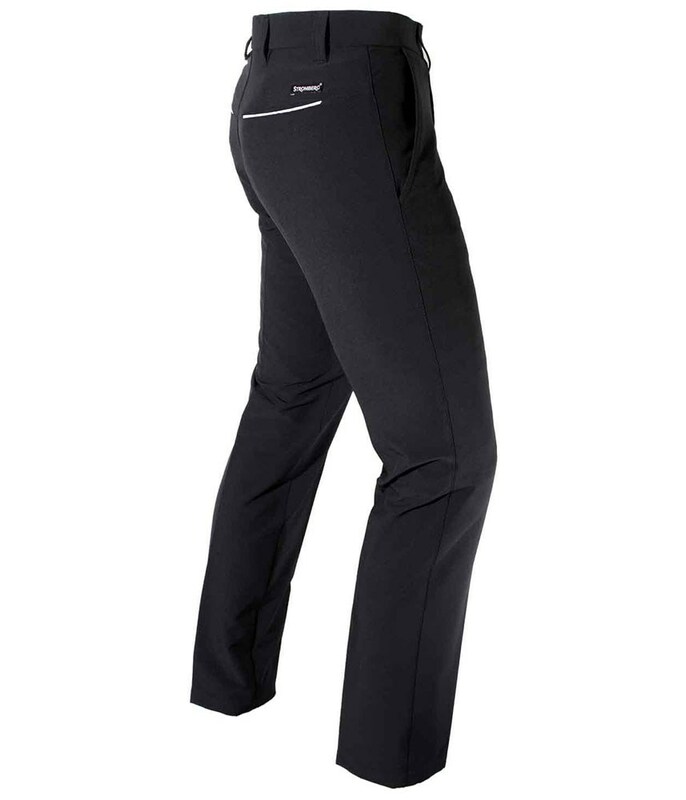 With minimal but brilliant pocket piping detailing the Stromberg Foreway golf trouser will look great either paired with a white or grey polo shirt or a smart suit for an evening out with the Mrs! 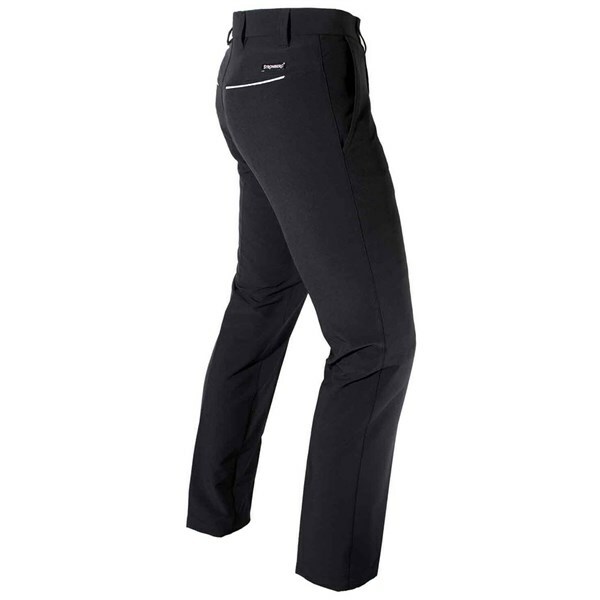 Made from a comfortable stretchy polyester elastane construction the Foreway trousers feature a four-way stretch that will increase your natural movements and leave you feeling less restricted on the golf course. The traditional Stromberg V-hem design has been used on the Foreway trousers so that they sit perfectly on your shoes.